Sally and John had one of the most original weddings we have ever been a part of here at Sisters Floral Design Studio. They wanted a fun and light-hearted event for themselves and their guests. 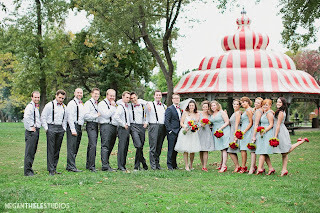 They opted for a vintage circus theme. 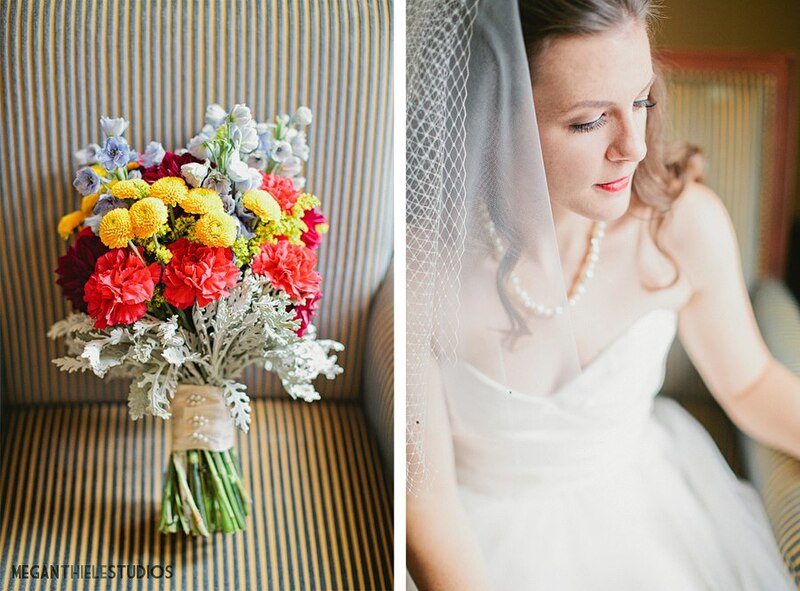 The colors and details of the day were awesome! 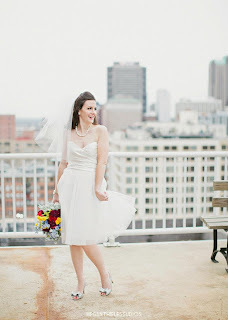 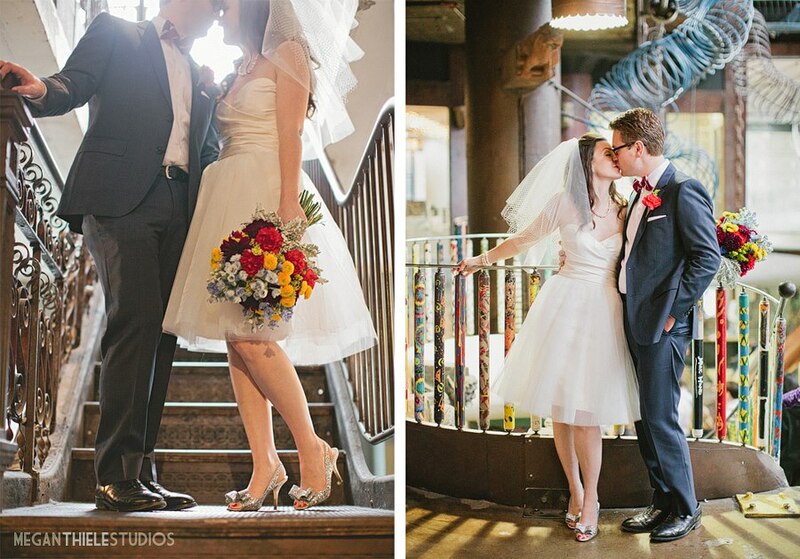 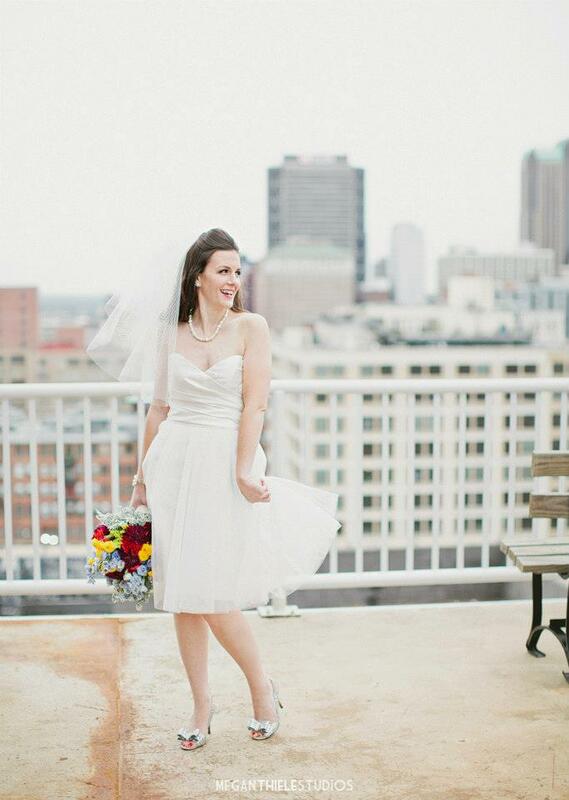 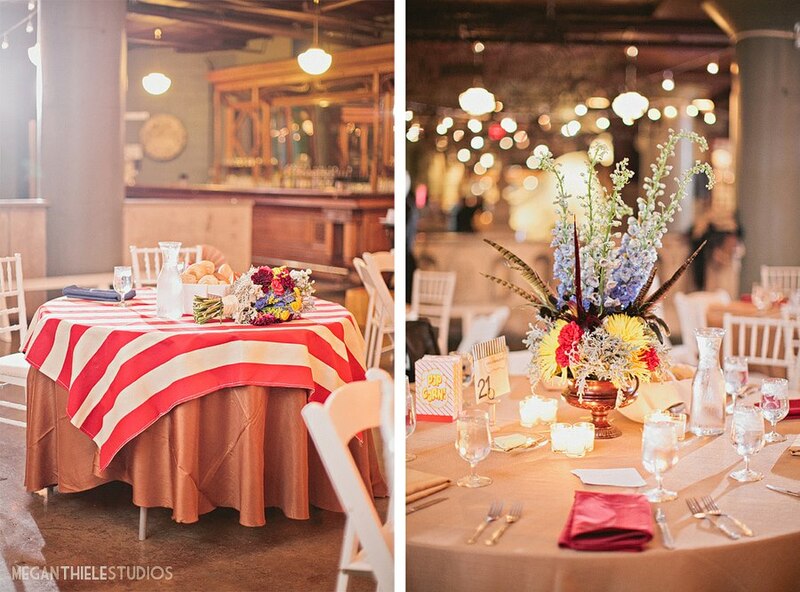 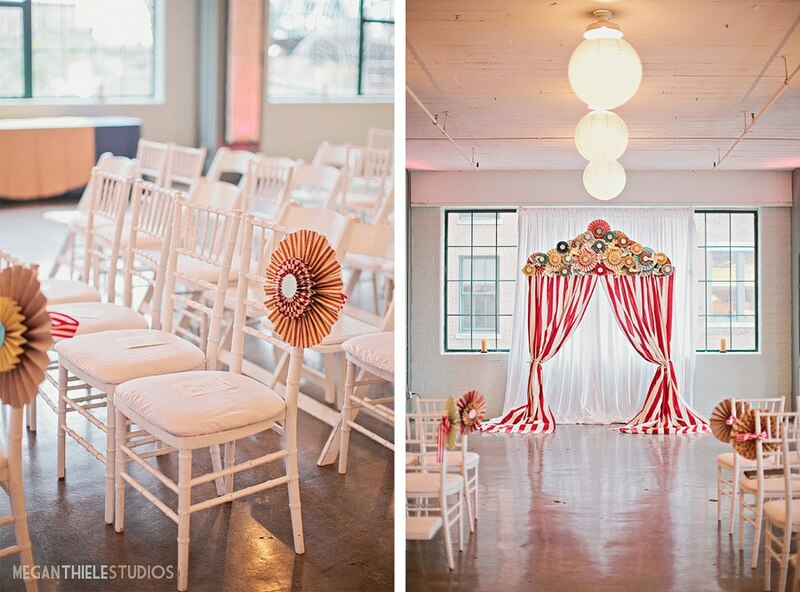 The ceremony and reception were held at the perfect location- the City Museum! Pictures by Megan Thiele. 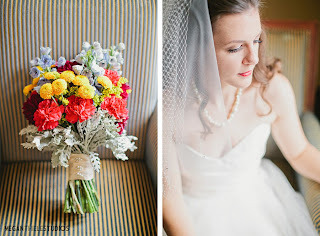 Sally’s bouquet was a reflection of the entire day’s theme. 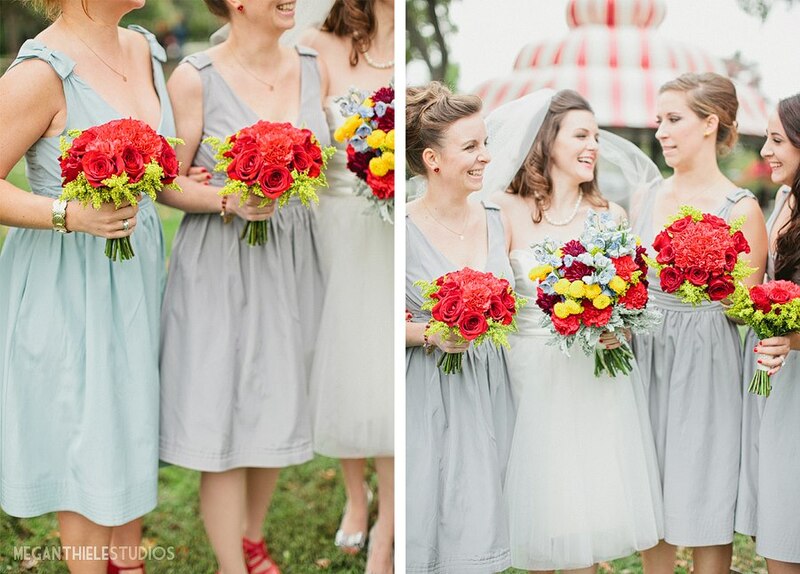 Vintage blues were incorporated with bright circus tones in a layered-style bouquet. 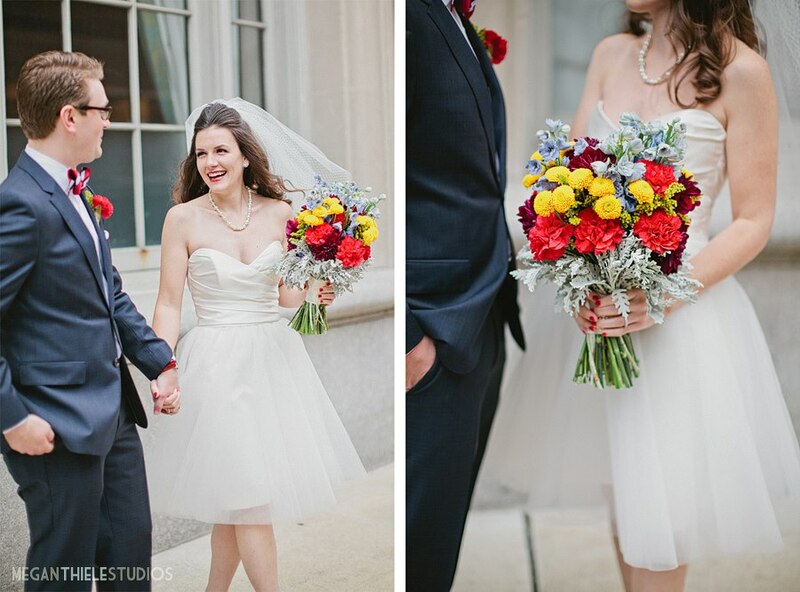 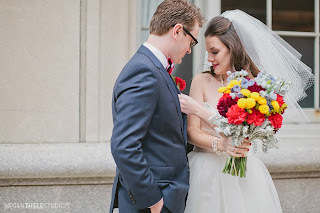 The bridesmaids carried yellow and red bouquets to contrast their vintage blue dresses. 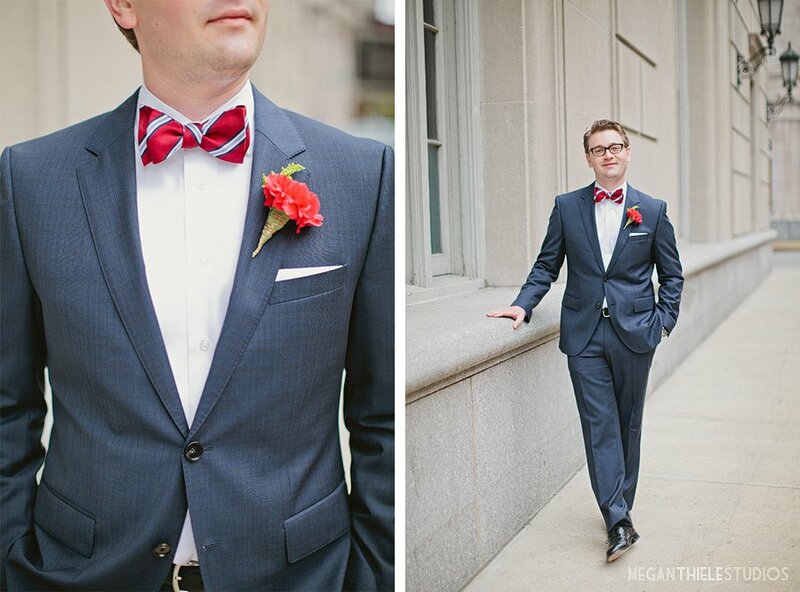 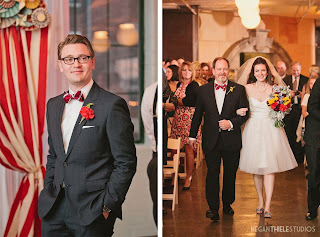 A classic red carnation boutonniere was just right for John. 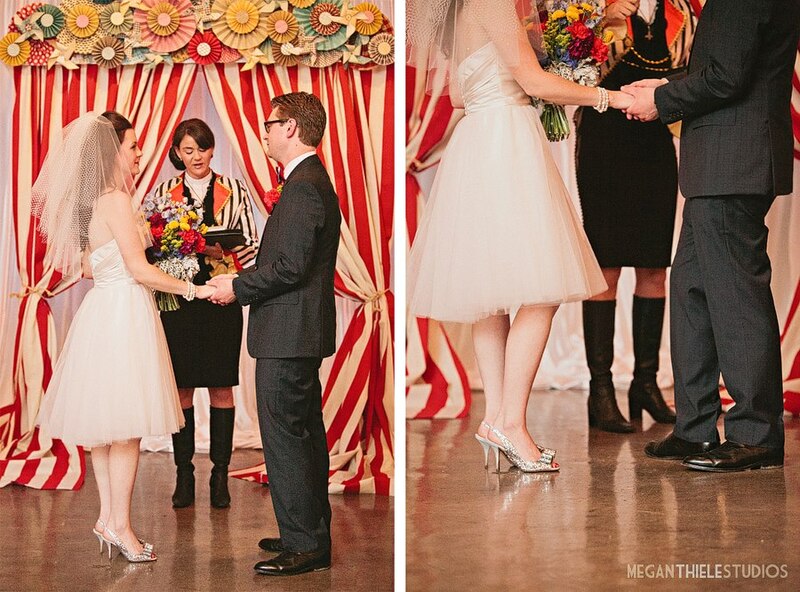 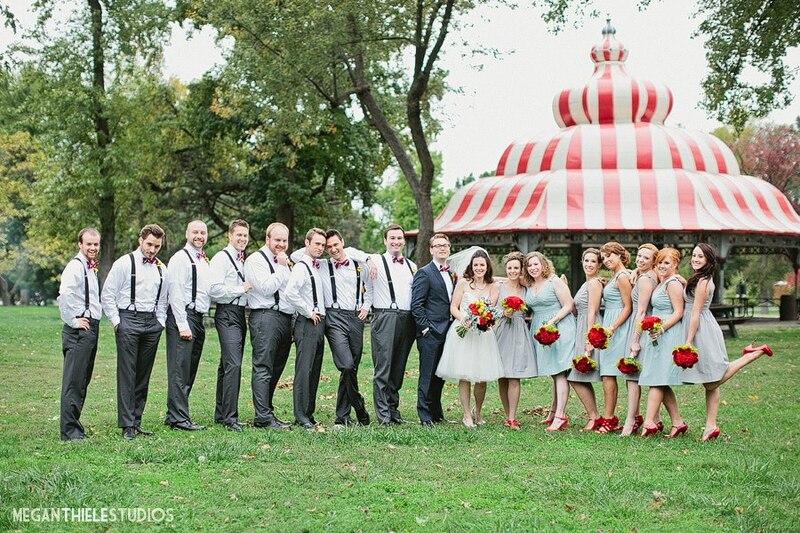 The ceremony site was decorated with circus touches to give the guests a taste of the evening’s theme. 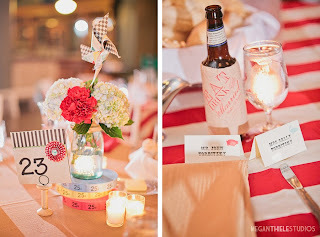 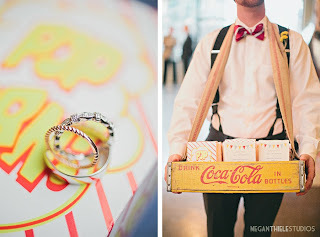 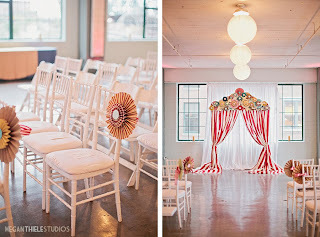 The reception was full of fun details! 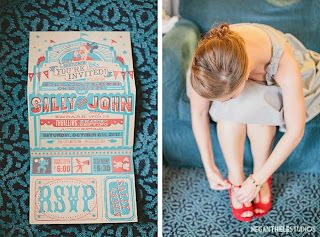 The flowers were the same bright colors with vintage blue with fun feather and circus elements added in. 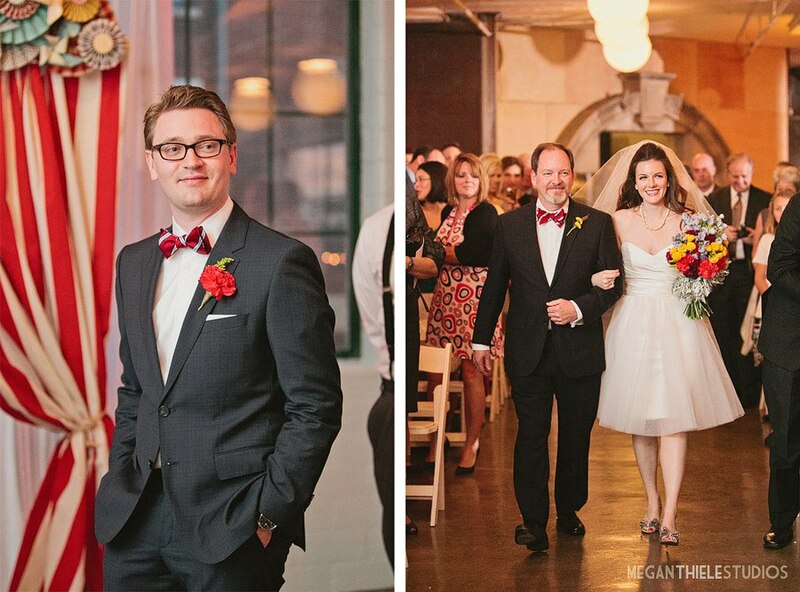 This wedding was so fun to be a part of! 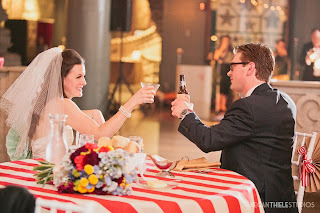 Thanks to Josie and the staff at Cosmopolitan Events for designing such an amazing event! 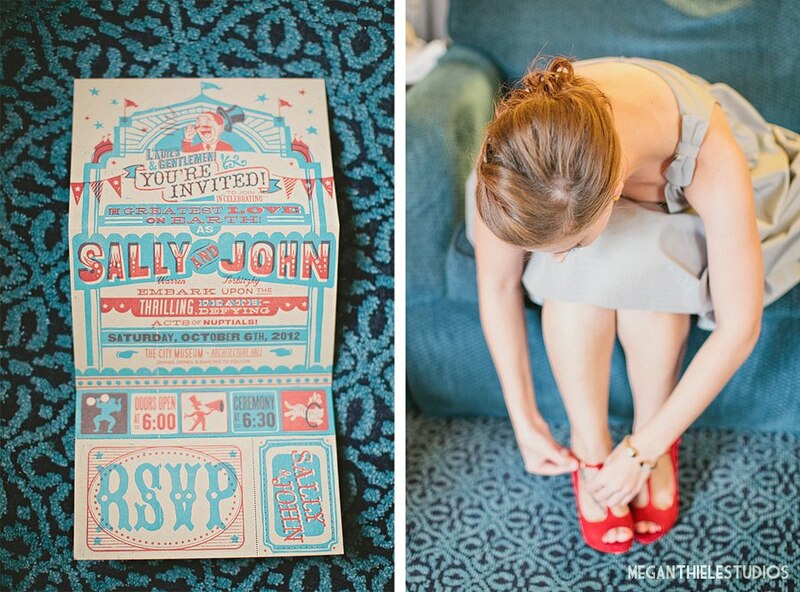 Best wishes to John and Sally for a fun-filled life together!